Some women who care about human hair products may have known much about lace closure, some of you may still don’t know much know it. So I am going to tell you in this blog. ♥What is a hair closure? ♥What is a closure in hair? ♥What is a lace closure for? ♥What is a frontal weave? ♥ How long do Frontals last? ♥Which is best silk or lace closure? ♥Should I get a hair closure? ♥Is a silk base closure better than a lace closure? What is a hair closure? A closure is a hairpiece that is usually made of lace or silk, although lace is the far more common choice. The hairpiece is attached to a cornrow base and secured around the perimeter in order to help protect your hair and improve its look. 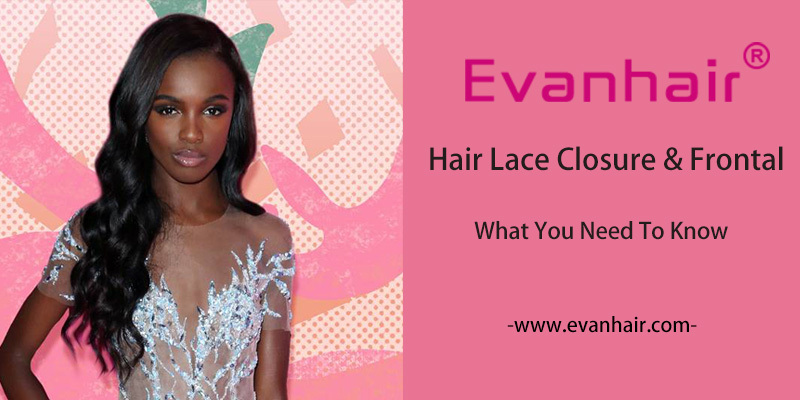 Evan Hair Lace Closures has an enormous variety of hair products, they are all 100% human virgin hair, such as Frontal Closure,360 Lace Frontal in any style and color. Body Wave, Straight, Curly, Loose Wave, Deep Wave, and Natural Wave, different hairstyles for your choice. What is a closure in hair? Lace closure is smaller than lace frontal. 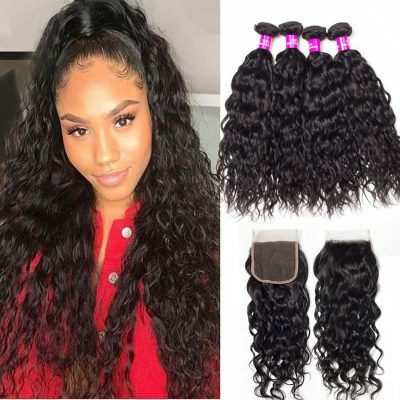 Closures, for those who are unfamiliar, are special hair units in which individual hair strands are attached (usually hand-tied) to a piece of material, most commonly lace or silk. … With partial weaves, an area of the person’s hair is left out to cover the tracks sewn down to the rest of the hair. 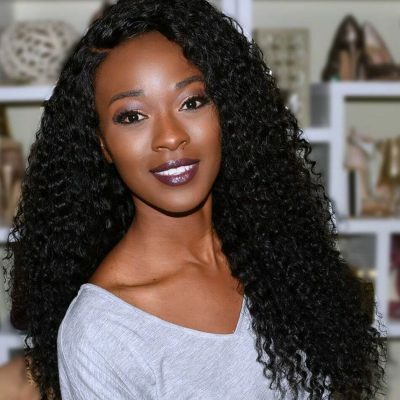 What is a lace closure for? Lace Closures are a fairly popular item for women who care about their hair. The flexibility and versatility of closures make them applicable for just about all types of hair, whether natural, scanty, permed or the less thrilling receding hairline. What is a frontal weave? A lace frontal can be used to create an ear to ear hairline. 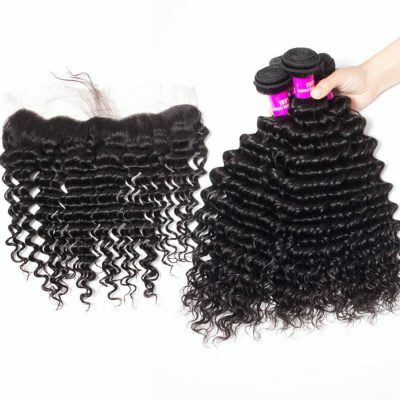 Lace closure frontal covers a larger area than lace closure. 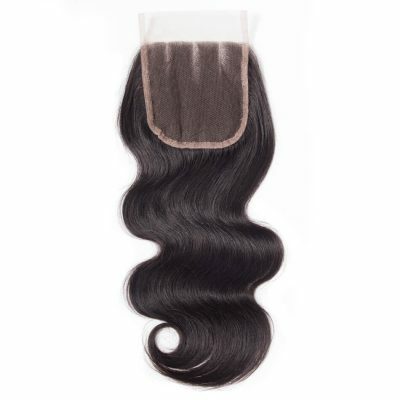 Beauty Forever offers 13*4 lace frontal and 4*4 lace closure sewn in for women. How long do Frontals last? But overall, frontal installations should last 2-3 weeks (if glued). In conclusion ladies, overall, your experience with a frontal depends on what type of glue you use and the skill level of your stylist. 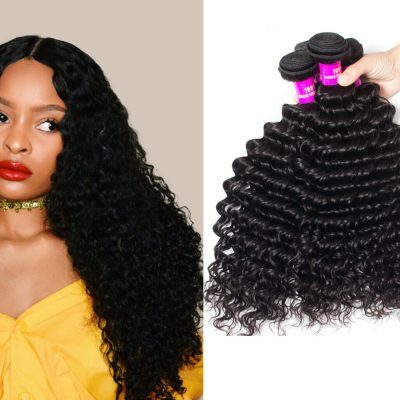 Which is best silk or lace closure? Lace Closures is great because it gives you a flat and smooth appearance. 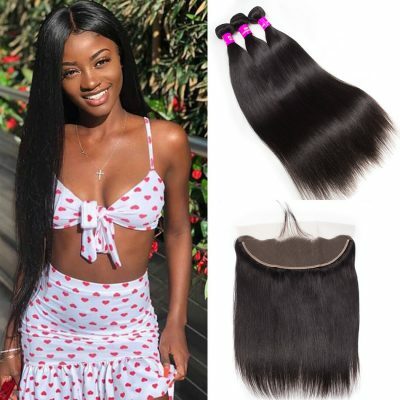 However, the downside for a Lace Closure is having to bleach or tone the knots/base of the closure or adding concealer for it to blend properly with your scalp and have a more natural look. Should I get a hair closure? Is a silk base closure better than a lace closure? A good weave can make any woman feel glamorous. But your hair can quickly turn into a hot mess if it’s not properly cared for. From visible tracks to bad blends, there are lots of things that can go wrong while wearing a weave. so human hair closure does. Human hair closures can easily help you change a perfect shape, and taking care of it is not very easy, and maybe hurt it, shorten its life, so I will share with you how to maintain your human hair closure in next article. See you, hope this blog will help you.